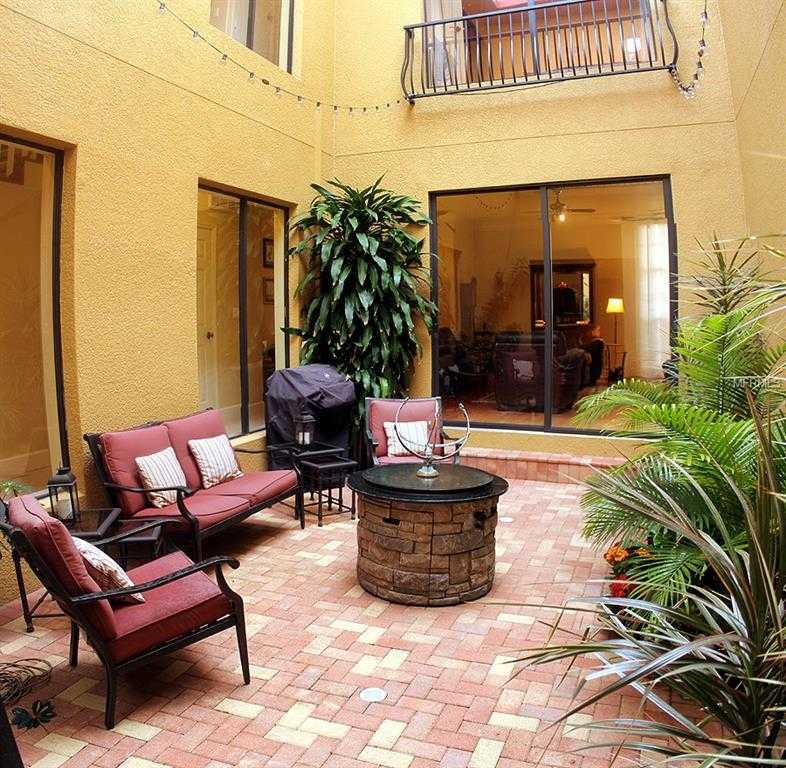 Conveniently located spacious, light filled townhouse with enclosed private patio. Half a mile North of Central Avenue, a few hundred yards from St Anthony 8217;s Hospital and a mile West of the Vinoy Hotel. Quick access to I275. Walk to Starbucks and Banyan Caf 233;. 13; Unusual design by Renker Eich Parks Architects inspired by townhomes in Ancient Pompeii sets the home apart. 13; This upscale townhouse offers a low maintenance and easy to run family home or rental investment. It is also a secure lock up and leave with an integral double garage to the rear. 13; Access is via a small front garden to the entrance lobby. From here a door leads into the spacious living room with a window to the front. Sliding glass doors to the internal patio garden finished with brick paving, an unusual and private area. A side passage leads to the kitchen, with an under stair cupboard and half bathroom. To the rear is a large fully fitted kitchen and dining area also with sliding glass doors to the patio. From the rear of the kitchen a door leads to double garage. 13; Stairs from the dining area lead up to the second floor landing. At the front of the house is a spacious master bedroom with built in closets, full height windows and en suite bathroom with toilet, double vanity unit, Jacuzzi bath and walk in shower. 13; Also on the second floor are two further spacious bedrooms, a bathroom and laundry. 13; Home is move in ready. City plans Highland Street North reduced from three to two lanes plus bike lane. House also for rent $2,750pm. Please, send me more information on this property: MLS# T3153890 – $415,000 – 711 Highland St N, St Petersburg, FL 33701. I would like to schedule a showing appointment for this property: MLS# T3153890 – $415,000 – 711 Highland St N, St Petersburg, FL 33701.